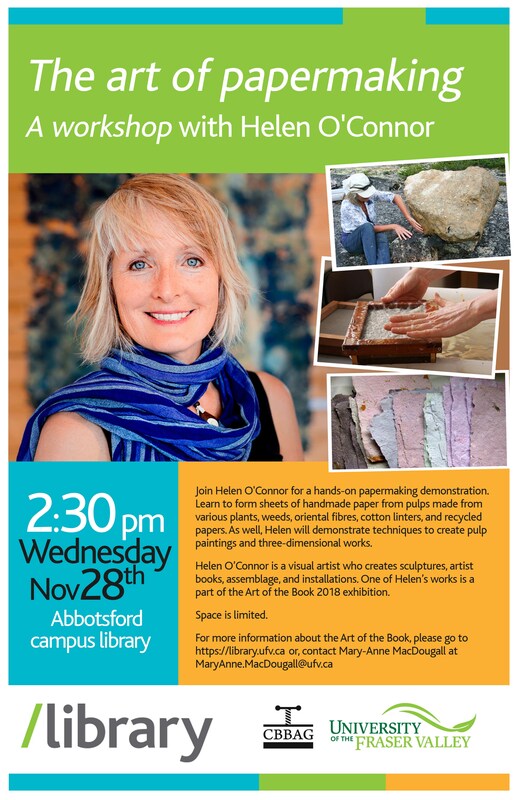 Join Art of the Book artist Helen O’Connor for a hands-on papermaking demonstration. Learn to form sheets of handmade paper from pulps made from various plants, weeds, oriental fibres, cotton linters, and recycled papers. 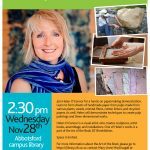 As well, Helen will demonstrate techniques to create pulp paintings and three-dimensional works.